So you want to get Leaner/lose inches/build muscle? Basically, you want to feel damn good when you look in the mirror. You see after almost 20 years of working in the fitness industry I discovered there are a number of core ingredients required to make training successful long term. Your workouts must be tailored to your current body composition, fitness goals and lifestyle. Otherwise, you're going to waste a whole lot of time working hard without seeing any meaningful change. Your training environment must cultivate accountability and promote personal responsibility, without this you will self-sabotage. You need others who will cheer for your success and not let you give up. Training has to make us feel good. Sure you'll feel good when you start seeing results, but you will never get there if you hate training so much you can't stick with it. When training is an opportunity to spend time with people you like, to switch off from the world, to always do new and exciting sessions. That's when it becomes a non-negotiable. That's why when I set up White Method Fitness, I decided to combine the best parts of one-to-one Glasgow personal training and the benefits of team training in small groups. Whilst eliminating all the fundamental flaws with both individual approaches. I wanted my clients to feel that high-motivating energy you can only get from working out with other goal-oriented people, while having the undeniable benefit of having a personal trainer keeping everything on track. Unlike bootcamp style fitness or pay-as-you-go gym classes each of the sessions are small enough (maximum 6 people) that nobody gets lost in the mix but with enough people to keep the session highly energised, engaging, and motivating. With the session numbers being small, I can keep your session tailored to you and your requirements and goals, making sure you are getting the most from your training. Small team sessions mean that not only do you have the support from your trainer but also your team. I know that you may feel a little apprehensive or nervous about being part of a team session, but you don't need to be. I will help you find the sessions where you will feel comfortable and would be the best fit for you. So many of my clients who started the gym not knowing anyone have all made long-term friendships. I want you get amazing results, but I also want you to enjoy your workouts. White Method Fitness is a community, not just a gym! The Slim Tone Method is for you if you're struggling with excess body fat and fed up with stubborn weight around your stomach, hips, arms or thighs. You want to feel slim, toned and healthy. To find out more about this method, how the sessions are structured and whether it is right for you, click the button below. The Power Muscle Method is for you if you want to to increase your strength, muscle mass and stamina. You want to feel stronger, fitter and look more defined. To find out more about this method, how the sessions are structured and whether it is right for you, click the button below. 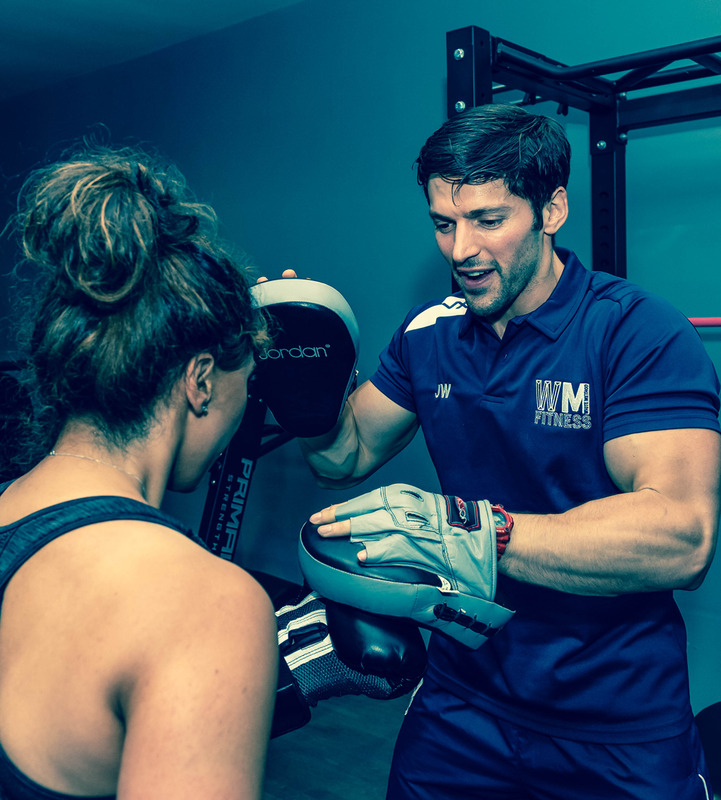 The White Method VIP combines one-to-one Glasgow personal training sessions + the team training sessions of the Slim Tone Method or Power Muscle Method. To find out more about becoming a VIP, click the button below.